Suriya's super hit film 24 has emerged a huge winner at the Kerala Box Office. The sci-fi thriller, which released on 6 May, 2016, saw Suriya in three different roles: Athreya, Mani, and Sethuraman. Directed and written by Vikram Kumar and produced by Suriya, under his home banner, 2D Entertainment, 24 starred Samantha Ruth Prabhu and Nithya Menen as well. Latest information has it that 24 has crossed the coveted Rs 10 crore mark at the Kerala Box Office. Upon it's release, the Ghajini actor's film also faced tough competition from Malayalam film, Nivin Pauly-starrer Jacobinte Swargarajyam. But 24 opened to an excellent occupancy on its opening weekend by raking in more than Rs 5 crore at the Kerala Box Office. The film had completed a one-month run with steady collections and was unaffected with the release of Dulquer Salmaan's recent release, Kammattipadam. The total collection of 24 in Kerala, after one month's theatrical run is Rs 10.20 crore, becoming Suriya's first film in his career to cross the Rs 10 crore mark in the state. 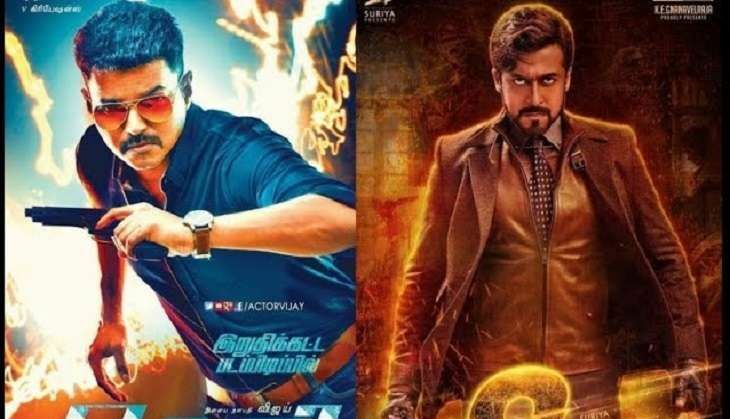 Suriya's friend and superstar Ilayathalapathy Vijay leads the race with three films in Rs 10 crore club: Thuppakki, Kaththi and Theri. Theri, the superstar's first release of the year, was a huge blockbuster in Kerala by making around Rs 19 crore. However Vikram's I still holds the record of highest non-Malayalam grosser with Rs 20 crore in Kerala. Rajinikanth's Enthiran and SS Rajamouli's Baahubali: The Beginning are the other non-Malayalam Rs 10 crore grossers in Kerala. READ NEXT >> Nihalani is 'proud to be PM's chamcha'. But are BJP CMs far behind?